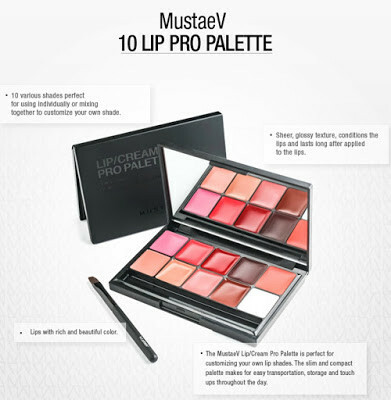 Today I post the final part of my MustaeV wishlist dedicated to lips and make-up brushes. I think you guessed by now the great impression the brand made on me. 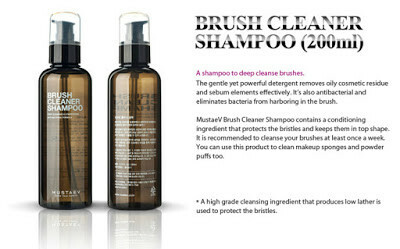 I am very curious to try more of their products. 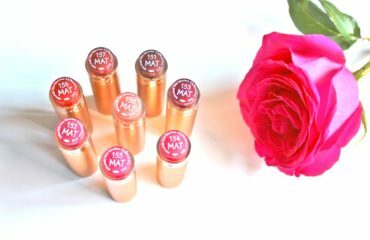 I’ll definitely be back with reviews or impressions on their products as soon as I have them. Let’s begin ! At the very top of the list is the 10 SHADE LIP CREAM/PRO PALETTE. 10 various shades to mix and match as you please. Compact and easy to travel. Price – 45 dollars. 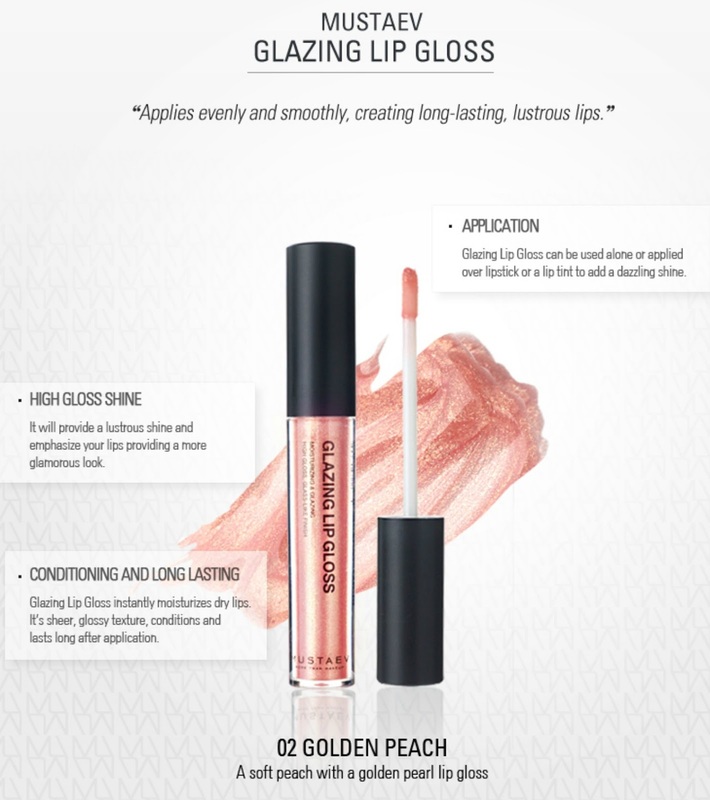 Next is the GLAZING LIP GLOSS – GOLDEN PEACH. For long-lasting, lustruous, shiny lips. Price – 18 dollars. 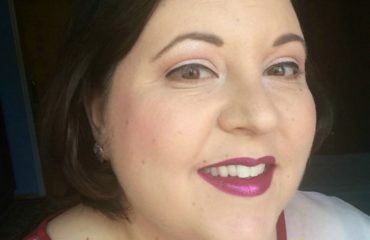 It looks great on its own and makes the lipstick look and last better. 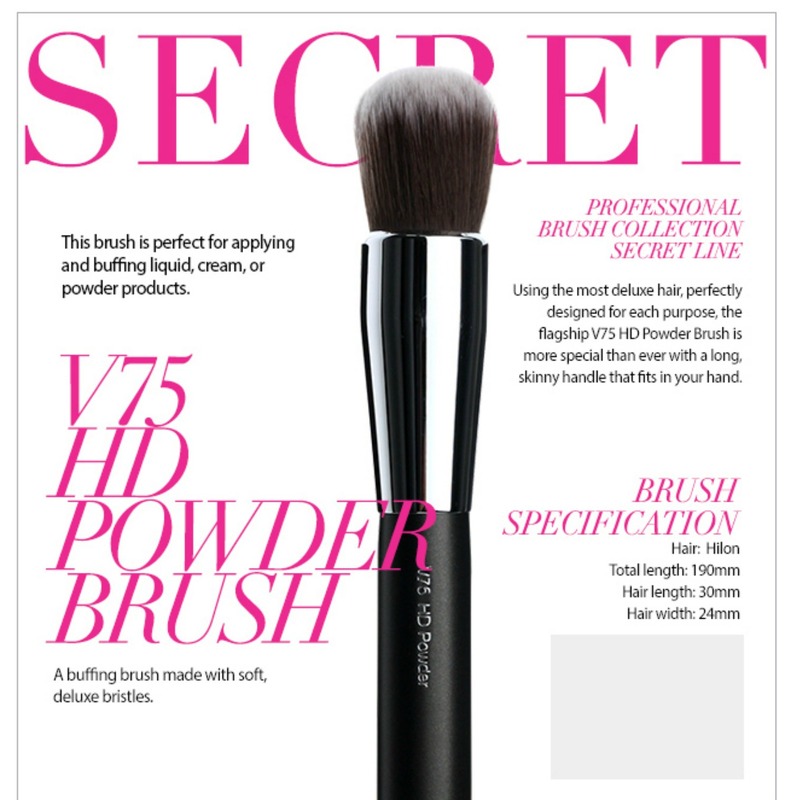 SECRET V13 ROUND POWDER BRUSH – 77 dollars. 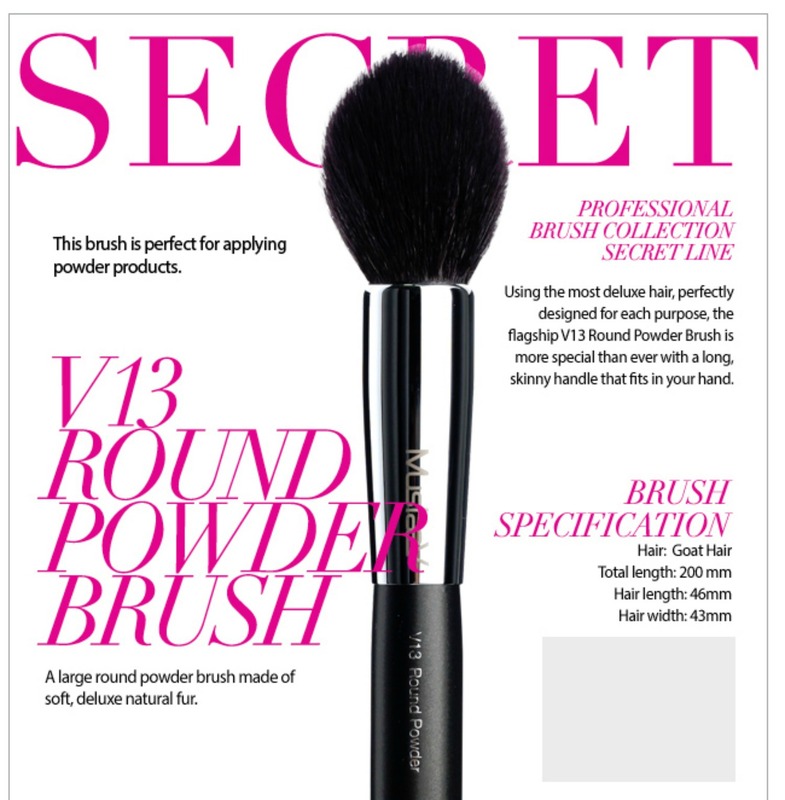 Applies powder products evenly and discreetly. 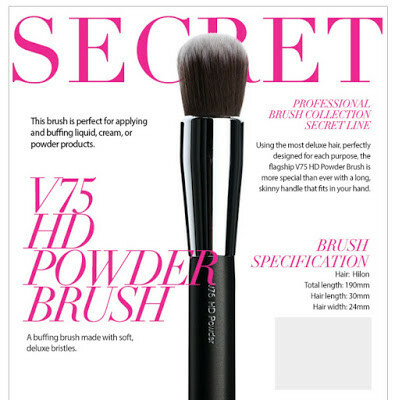 SECRET V75 HD POWDER BRUSH – 49.50 dollars. 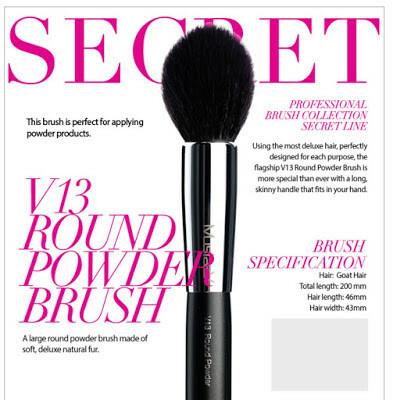 Applies powder on specific, targeted places. It can also blend and buff liquid products into the skin. 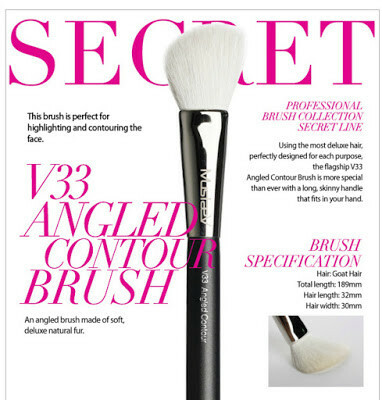 SECRET V33 ANGLED CONTOUR BRUSH – 44.50 dollars. My favourite blush/contouring type of brush. 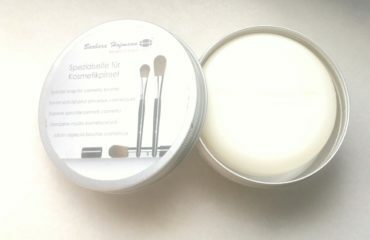 It applies evenly the product, without patches and the skin looks healthy and glowing. 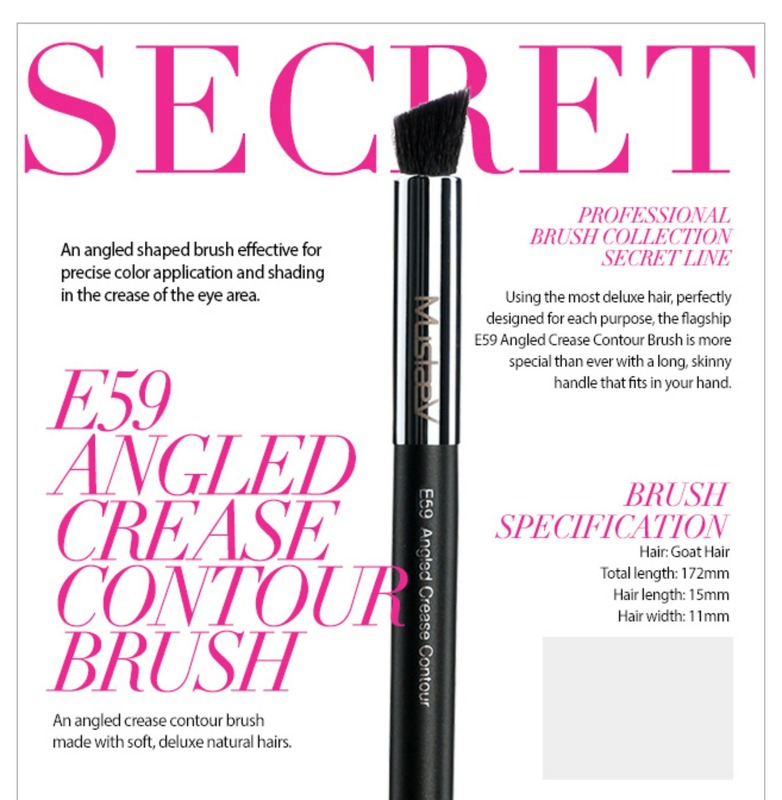 SECRET E59 ANGLED CREASE CONTOUR BRUSH – 41 dollars. 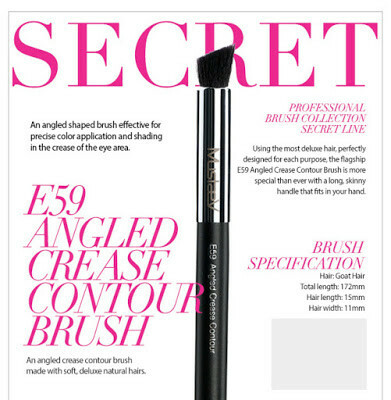 It provides a precise colour application and shading in the crease of the eye. 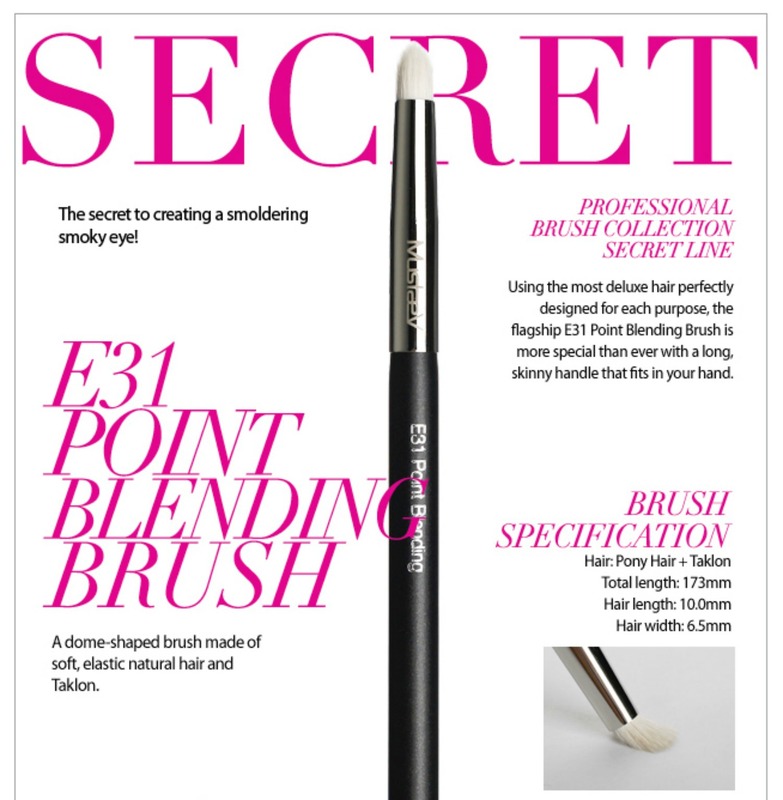 SECRET E31 POINT BLENDING BRUSH – 30 dollars. 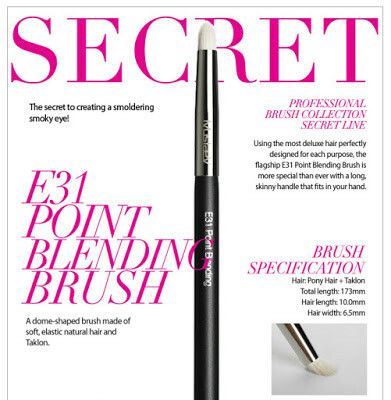 It is designed for smudging and blending to create a perfect smoky eye look. 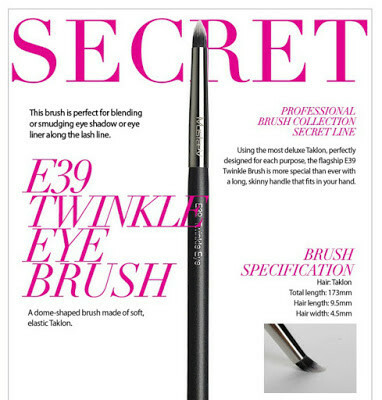 SECRET E39 TWINKLE EYE BRUSH – 28 dollars. It is designed for smudging and blending the liner along the lash line. 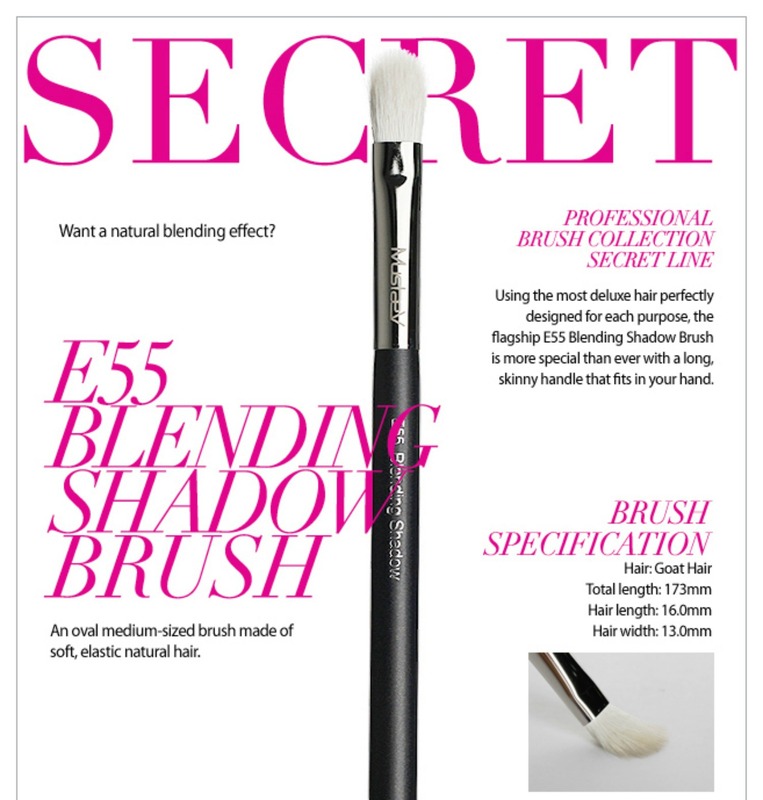 SECRET E55 BLENDING SHADOW BRUSH – 30 dollars. 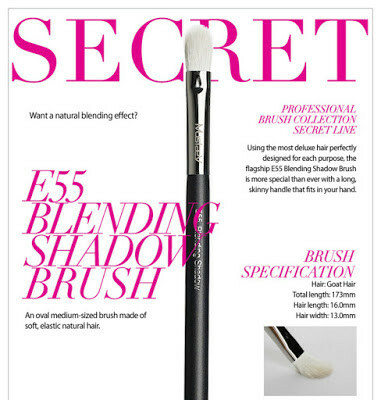 It is designed for a natural blending effect. 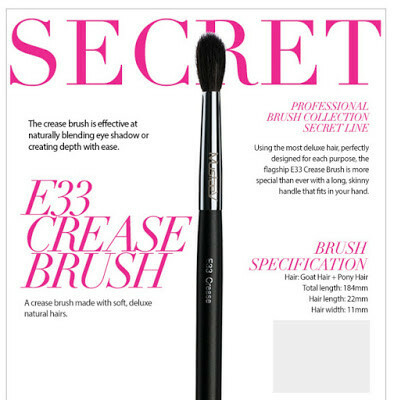 SECRET E33 CREASE BRUSH – 38.50 dollars. It is designed for a natural blending of the crease area and creating depth with ease. I really, really want to try the BLOOM POUCH (S/L) – 30 dollars. I never have too many make-up brushes and I always have to improvise to keep them stored properly. 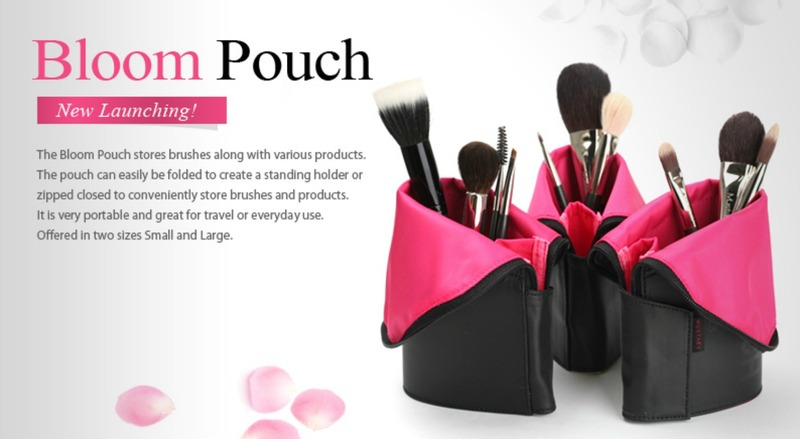 The bloom pouch looks soo good ! Girly and fun ! 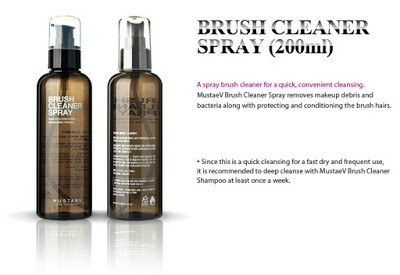 BRUSH CLEANER SHAMPOO (200ml) – 16 dollars. 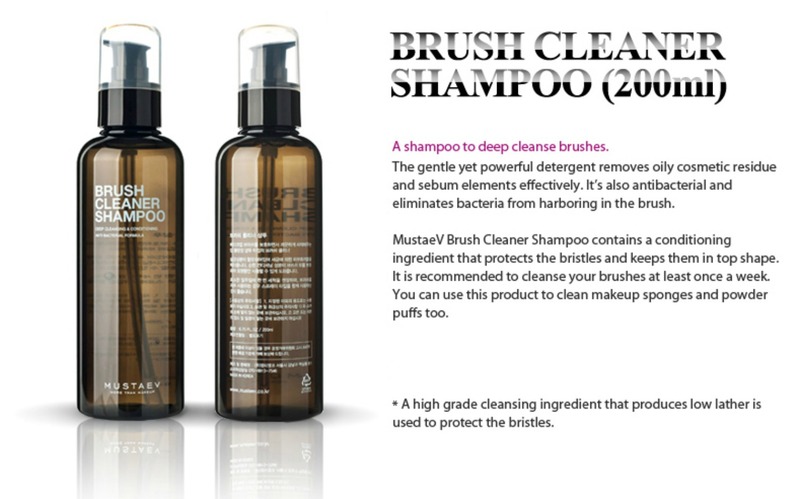 Created to deep cleanse brushes. BRUSH CLEANER SPRAY (200ml) – 16 dollars. For a quick, convenient cleansing. Travel friendly.